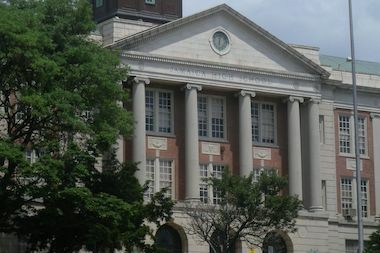 QUEENS — Jamaica High School, which has been a fixture in the neighborhood for more than a century, closed for good earlier this week, the Department of Education said. According to the Department of Education, the building, which is currently being renovated, will continue to provide space for several other institutions. Jamaica High School shared the building with three other public schools: Queens Collegiate, Hillside Arts and Letters Academy and High School for Community Leadership. The school was located in a historic building on Gothic Drive at 167th Street since 1927, after it moved from a smaller location on Hillside Avenue, where it operated since 1898. It had many distinguished graduates, including director Francis Ford Coppolla.